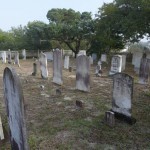 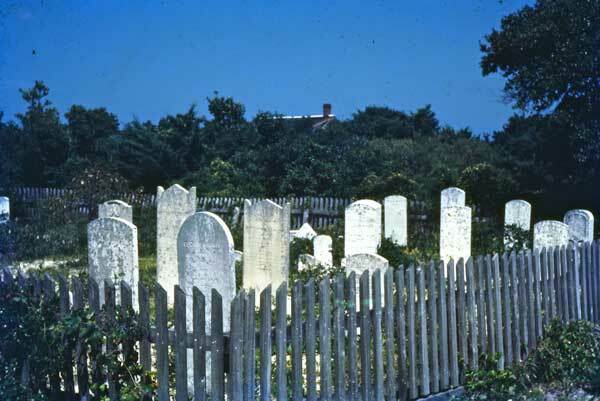 Ocracoke Island has more than eighty family cemeteries scattered throughout the village. 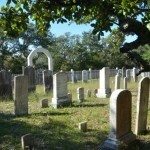 Most are small cemeteries nestled in thickets of yaupon bushes and wax myrtles, or under the shade of ancient live oaks. 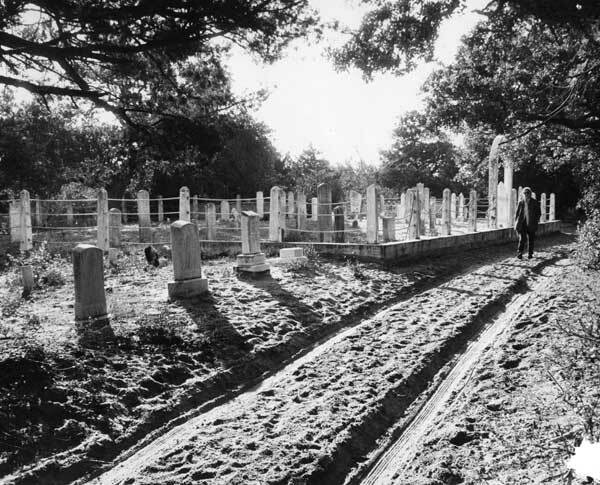 They lie in back yards, alongside well-worn footpaths, and on small tussocks between family homes. 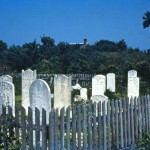 In the front row on the right are buried Eliza Bradley Howard Wahab, and her husband Job Wahab. 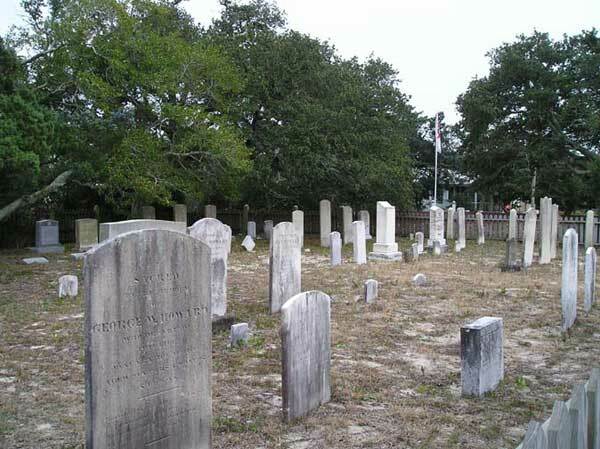 They had fifteen children, three of whom died within eight days of each other, in September 1842. 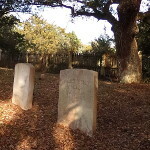 Jonathan was sixteen years old; Warren, nine years old; and Job, only seven years old. 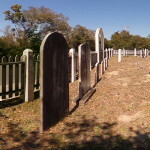 If you look carefully at these graves you may notice that both Warren and Job appear to have died (in 1842) thirteen years before they were born (in 1855). 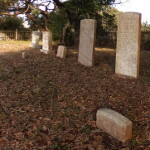 Books and magazine articles have been written telling the story of how the stone cutter recorded the wrong birth dates but the family, not wanting to ship the heavy markers back across the Sound, erected them in spite of the mistake. 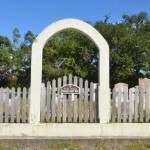 In truth, the stone cutter made no mistake. 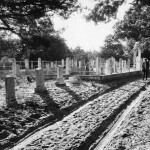 Warren was born n 1833, and Job was born in 1835. 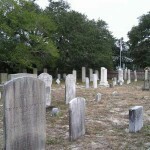 Over time the threes have weathered to look like fives. 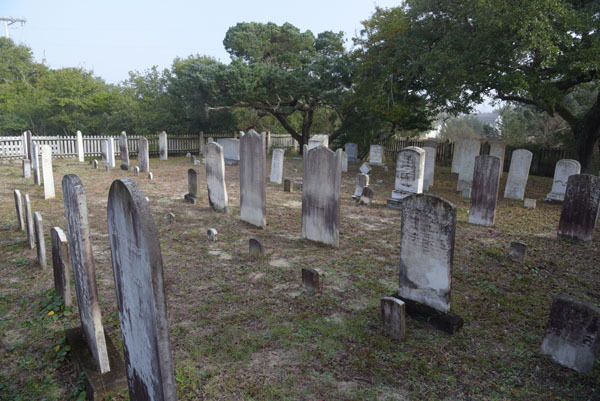 If you look carefully at the tombstone for Job (who was born in 1835) you can see the distinctive characteristics of the two different numbers. 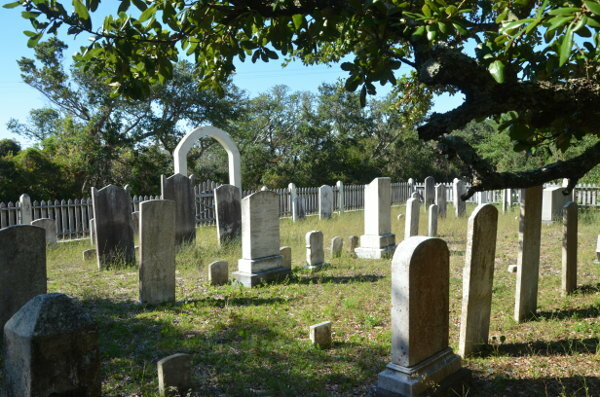 Between the old Howard cemetery and the British cemetery is the Williams cemetery, enclosed by a red brick fence. 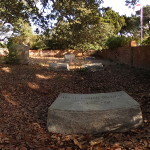 In the front row you will notice the grave of Captain David Williams. 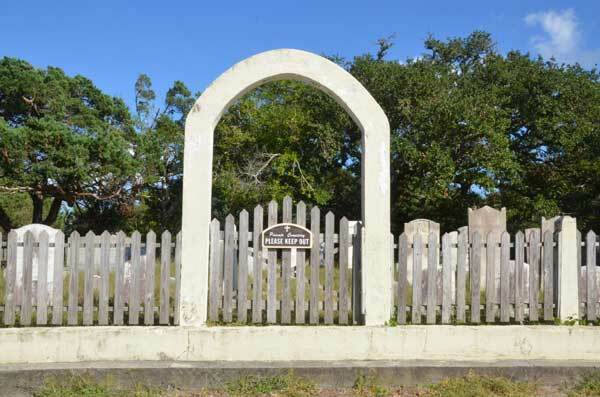 He was the first keeper of the US Coast Guard Station after it was moved from the north end of the island to Ocracoke Village. 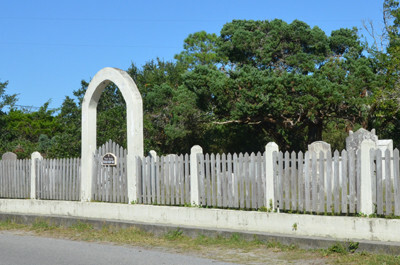 His family home, which sat originally where the Anchorage Inn is located today, has been moved and now houses Ocracoke Preservation Museum.